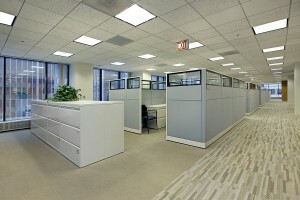 Cubicle dividers are a major component in any office. If you furnish your office with low dividers, you’ll set up your workspace to be an open, collaborative space. On the other hand, if you opt for high panels, you’ll create a more private, quiet work environment. Either way, choosing the right cubicle dividers for your office is a big decision, and the professionals at Reimagine Office Furnishings (ROF) want to help you choose the best for your office. If you’re still having trouble finding what you’re looking for, no problem. We have an in-house refurbishment team that would be happy to change the color of the panels or the pattern to better suit your office’s style and your personal taste. For more information on the cubicle dividers available for your office, contact Reimagine Office Furnishings today.